The Electronic Language International Festival FILE 2009 hosted the second experience of CineGrid Brasil. The venue, called FILE TRANSCONTINENTAL, streamed from the FIESP building, the first 4K featured film from Brazil to San Diego and Japan. 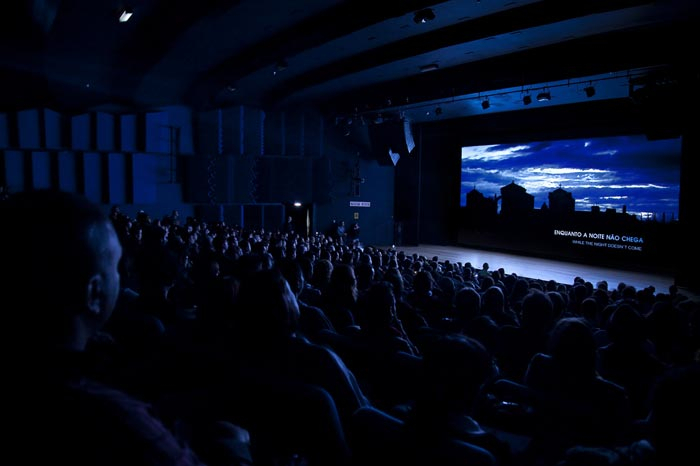 The experiment, considered the first première of a 4K film streamed over photonic networks (10 Gbps link) to three countries, was considered a bleeding edge demonstration of the future of the connected cinema in the world. The venue also hosted a serie of seminars on the future of cinema among several projections of 4K short films. The venue generated a short documentary and was covered by the specialised media in Brazil and abroad. The FILE TRANSCONTINENTAL was organised by Jane de Almeida, Eunezio de Souza (Thoroh) and Cicero Inacio da Silva.